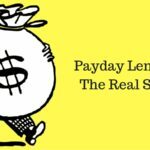 The payday loan trap is a very real thing, and so is payday loan addiction. The average payday loan borrower takes out 8 loans per year. Psychology Today defines addiction as “a condition that results when a person … engages in an activity that can be pleasurable but the continued use/act of which becomes compulsive and interferes with ordinary life responsibilities.” While many people turn to payday loans due to financial hardships, for some, it quickly becomes a compulsive behavior that takes over their finances and their lives. We often think of addiction in terms of a physical dependence that is “characterized by withdrawal symptoms”, but that’s not the only case. Danger: Payday Loans are Addictive! bill or expense pops up. So, they’re in need of extra cash to get them through until payday. What begins as a solution to a need can slowly become a compulsive behavior. A person struggling with this “may find the behavior rewarding psychologically or get a ‘high’ while engaged in the activity but may later feel guilt, remorse, or even overwhelmed by the consequences of that continued choice,” says the American Addiction Centers. We work with hundreds of clients every day who are desperate to escape the payday loan trap. 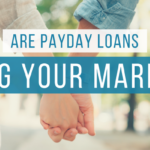 They’re living in fear of aggressive payday lenders and have been watching their entire paycheck get eaten up by payday loans month after month after month. For some of these people, what began as a financial need quickly became a compulsive behavior. More money feels good. And payday lenders are ready and willing to lend money to most anyone. Taking out payday loans compulsively in an addictive manner is occurring more often than one would think. And unfortunately, the payday loan addiction leads to disastrous circumstances. According to findings in a Detroit Area Study (DAS) , when payday loan users were compared to similar low to moderate income households in Detroit who did not use payday loans, the DAS found almost three times the rate of bankruptcy, double the rate of evictions and phone cutoff, and almost three times the rate of having utilities shut off. In another study done in Texas, researchers found that borrowers who received payday loans were twice as likely to file for bankruptcy in the following two years when compared to payday loan applicants who were turned down for payday loans. 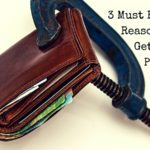 If you find yourself falling deeper into the payday loan debt trap and compulsively taking out more and more loans, you’re not alone. We can help. Give us a call today . 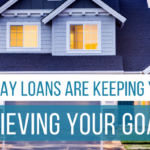 Our team will work with you to, first and foremost, get the payday lenders out of your bank account so that you can take back control of your finances. We’re here to support and guide you throughout the entire process. We’ve done so with hundreds of people before and have the experience and knowledge you need to end the debt trap cycle.